Fixed a major bug in any settings higher than "medium" where, if a player is shooting, players will drop 50% of their FPS. Fixed a major bug related to clients loading collections. (trees/rocks) Players should have overall higher FPS because of this and also have less FPS-dropping when looking around in maps such as Colorado V2. Fixed a bug when players spawn in their character would automatically start running and randomly stop. All Christmas related styles have been removed/reverted. Overall lighting (every map) has been improved and tweaked. Optimizing takes time and some things are a lot of work so therefore we are going to ask you guys to give us time. Don't worry, this will not affect our patch schedules, this will just make it that upcoming patches are a little bit more focused on optimizing the game. More LOD's will come bit by bit in upcoming patches. Stay tuned! Decreased the speed of the buggy by a little bit. Fixed some issues related to the newer added "Arab buildings". Some textures were missing alpha layers. Fixed some mistakes in the OTS-SVU sniper names. Fixed some descriptions of the "AW Magnum" and it's skins. Added a new media riot shield: "Riot Shield Pambox". Fixed some problems related to the new "M4A1 Christmas" skin recipe. Fixed the name of the "Blaser R93 Christmas" skin recipe. Fixed the "B93R Modern Black" store icon. Reworked the icon to make it look better. Fixed the "IMI TAR Beehive" item description. Fixed the "M4 Semi Lime" item description. Buffed the loot from the "Tactical Weapon Crate". The QBZ and G11 are removed, some other items are added. Overall players should get more higher valued items from the box now. Removed the Christmas trees and objects from the map. Also removed the Christmas event loot. Reverted back to the normal terrain. Snow terrain has been removed. Fixed some flying objects around Glenwood Springs. Removed rocks which were inside some houses in Glenwood Springs. Removed the Christmas objects from the map. Also removed the Christmas event loot. Fixed all the trees that were missing physics. Reworked hills around the playable area. Removed the park area and replaced it with some trees and rocks. Optimized trees all over the map. For the players wondering about the car spawn at Mountain Crest: we double checked this spawn and can confirm it's 100% there. You guys just have to look a little bit better! Fixed a fence problem in the safe zone area in Boulder City. Players were able to walk through certain fences only from one side. SMG (40) Mags and MP7 (40) Mags are now spawning in Battle Royale. Reworked the terrain layers to fix the corruption. Added more trees around towns in general for more protection for players. Moved player spawns generally closer to towns. Removed the school building and replaced it with some Arab buildings in the lobby. Once again, this is just a smaller patch mainly to fix some issues. 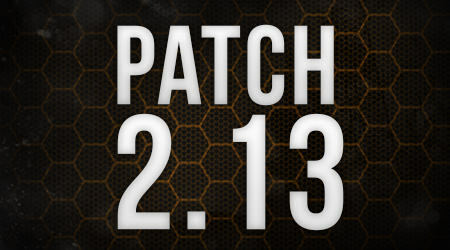 Expect a bigger patch soon! Patch ETA: Patch will roll out any time. Patch is already downloadable for you guys! Servers are still on the patch. Stay tuned! Just wondering: What was your exact issue? Servers are back online and patched. Enjoy! will there be a q&a stream soon? also we hear you all talk about optimizing all the time. could you explain a little of what that entails. some have no clue as to whats involved and as it is a major focus a little info would i think go a long way. i have more thoughts but i am sleepy and can't remember if they are about the game or chili cheeseburgers. btw thanks to everyone involved in making the new arizona map. now just completely nerf damage done by vehicles, add a few more and el perfection. why am i thinking of zombies with muskets. think ill get back to the trying to sleep thing. Earlier on, you guys mention special camo skins for survival only, when is this going to happen? It's because ur not a sub anymore. It does. It's simple: if you are in a sub-clan you can use sub skins, if you are not, then you can't. You are not in Krissy's clan so that means you can not use the skins. Simple as that. Aren't super zombies on Survival supposed to drop 2 items, like 100% of the time? I've only had 1 drop twice now after this latest patch.